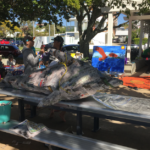 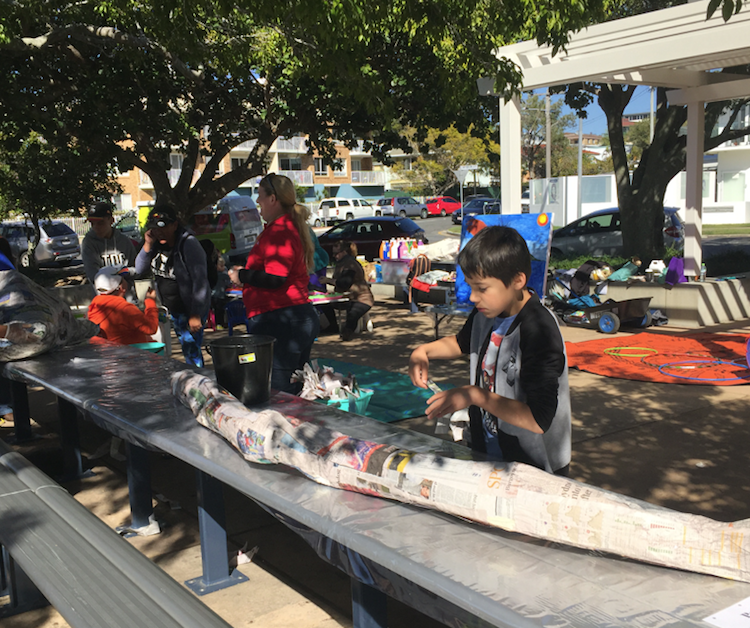 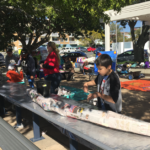 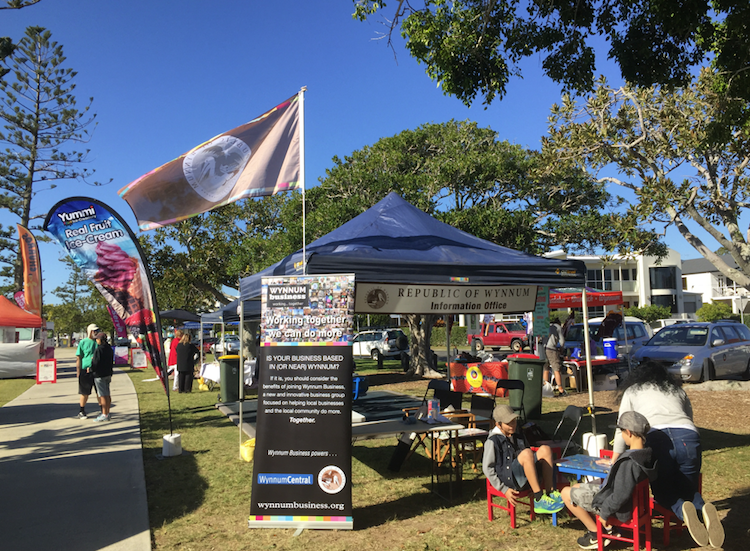 Last month was a busy month for events in Wynnum. 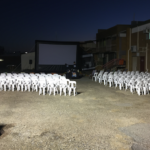 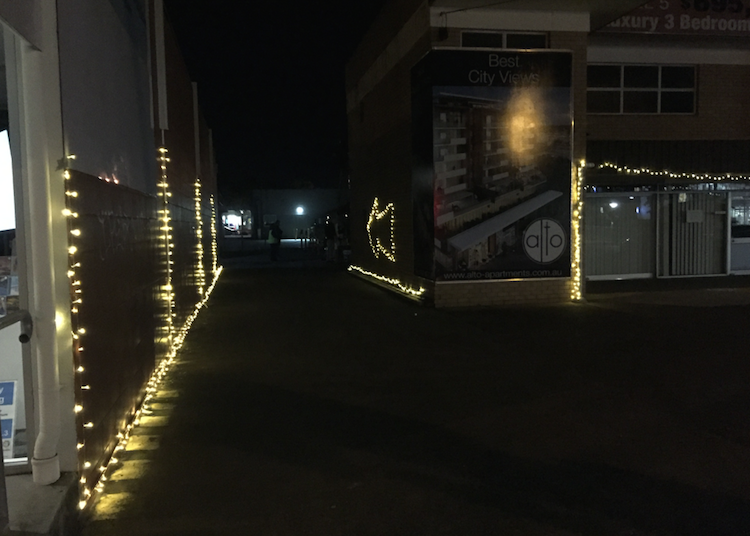 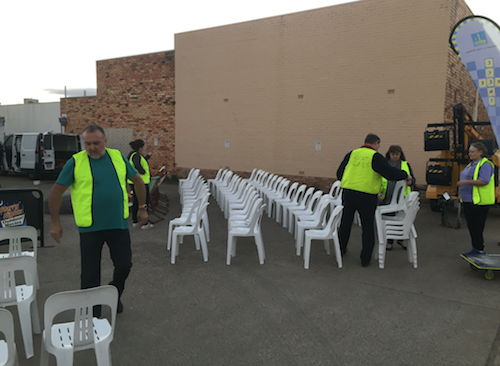 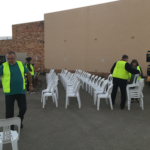 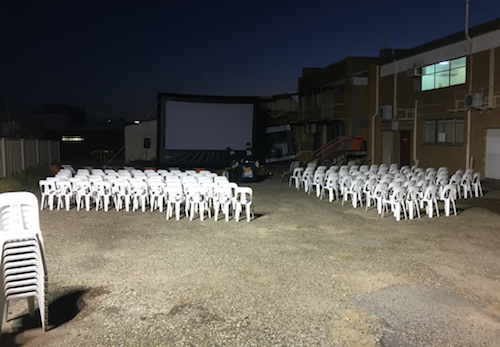 First we had the inaugural Wynnum Laneway Movie Night on Thursday 13th July, when around 80 people came along to free showings of modern classics The Matrix and When Harry Met Sally. 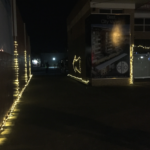 Despite it being a little cool, it was a great night under the stars. 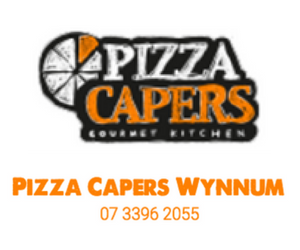 The organisers (Wynnum Manly Events Inc) are hoping to organise more events, and we’ll let you know as soon as these are announced. 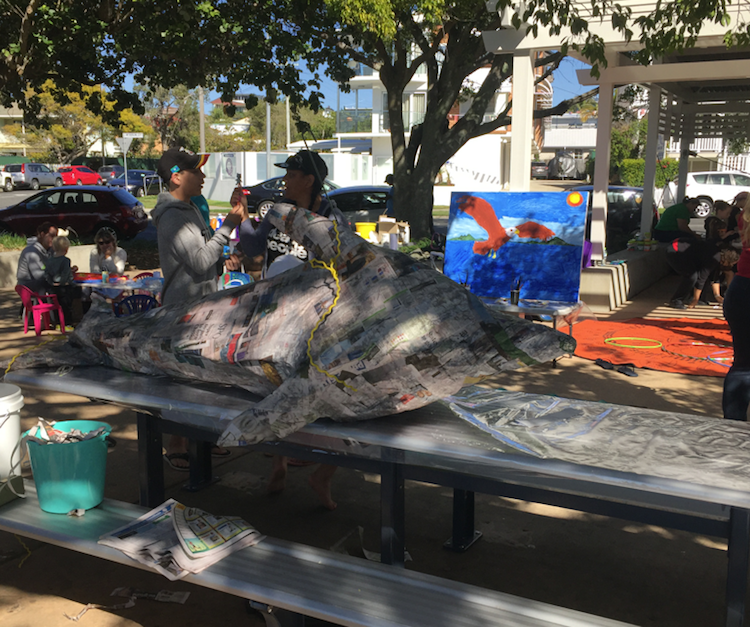 Then on Saturday 22nd July the local Winnam group hosted the NAIDOC/Kunjiel Fun Day. It was a beautiful day down at the waterfront and Wynnum Business and the Republic of Wynnum took part in the fun, with the Republic of Wynnum flag flying high on the stand!